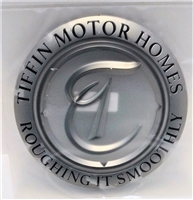 Includes: One (1) Logo for Tiffin Motorhome Wheel Liner Center Cap. Does NOT include: Wiring, Hardware, installation instructions or tools. This Logo is a peel and stick. Includes: One (1) Emblen for Tiffin Breeze Motorhome Hood. Length across the top of Emblem...5"
Length across the bottom ..............3 3/4"
This Emblem is a peel and stick. Includes: One (1) Decal Roughing It Smoothly for use on Tiffin Motorhomes. Includes: One (1) Assist Bar for Tiffin Zephyr (glo-bar only no brackets). Includes: One (1) Assist Bar for Tiffin Bus. Glo Bar Only. 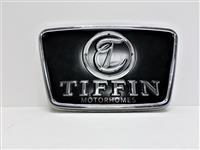 Includes: One (1) Emblem Round T for Tiffin Motorhomes. Measure 9 3/4" in diameter. Decal for Front of Tiffin Motorhome "T"
Includes: One (1) Decal "T" for front of Tiffin Motorhome. Dimensions. 53/4" x 3 3/4"
Includes: One (1) Roughing It Smoothly Decal for Entry door on many Tiffin Motorhomes. 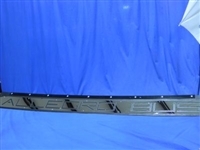 Includes: One (1) Assist Bar 20" with Chrome Brackets for Tiffin Bus. Measures 20" in length. The bracket measures 3 3/16" in height and 2 3/8" wide. Includes: One (1) Assist Bar 20" with Satin Nickel Brackets for Tiffin Bay and Phaeton. Measures 21 5/8" total length. Bases have two screw holes and measure 2 1/4" wide and 2" in height. 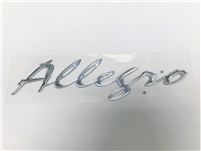 Includes: One (1) Decal Allegro Open Road for use on Tiffin Motorhomes. 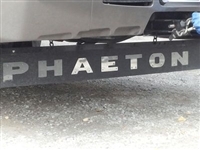 Includes: One (1) Assist Bar 20" with Chrome Brackets for Tiffin, Fleetwood, Holiday Rambler, Monaco and other major brands of motorhomes. Measures 20" in length. The brackets measures 3 3/16" in height and 2 3/8" wide. Includes: One (1) Tiffin Oval Decal for front of Motorhome. 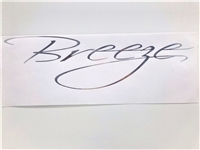 Dimensions.......5 3/4" x 3 1/8"
This is a peel and stick Decal. Includes: One (1) Entry Door Latch assembly for use on many Tiffin Motorhomes, Holiday Rambler, Monaco Coach, Fleetwood RV Motorhomes, American Coach and several other makes and models of Motorhomes by leading RV manufacturers. 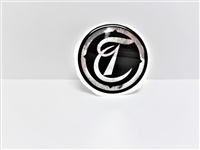 Includes: One (1) Decal Round T for Tiffin Motorhomes 2000-2002. 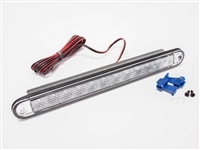 Includes: One (1) Step Control Module Assembly for use on many Tiffin Motorhomes, Holiday Rambler, Monaco Coach, Fleetwood RV Motorhomes, American Coach and several other makes and models of Motorhomes by leading RV manufacturers. Does NOT include Hardware, Adhesive/sealant, installation instructions or tools. 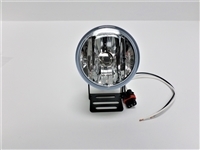 Includes: One (1) Step Motor Assembly for use on many Tiffin Motorhomes, Holiday Rambler, Monaco Coach, Fleetwood RV Motorhomes, American Coach and several other makes and models of Motorhomes by leading RV manufacturers. Includes: One (1) Rock Guard for Tiffin Phaeton Motorhome. Includes: One (1) Grab Handle Assist Bar with Keyless Entry Assembly for use on many Tiffin Motorhomes, Holiday Rambler, Monaco Coach, Fleetwood RV Motorhomes, American Coach and several other makes and models of Motorhomes by leading RV manufacturers. 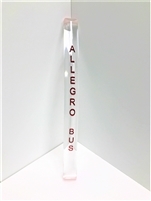 Includes: One (1) Rock Guard for Tiffin Allegro Bus with straight bar. Includes: One (1) Rock Guard for Tiffin Allegro Bus Red. 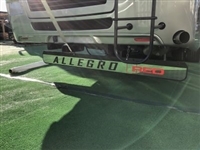 Includes: One (1) Rock Guard for Tiffin Allegro Bus with notched bar for receiver hitch. Includes: One (1) Rock Guard for Tiffin Allegro Red Motorhome.